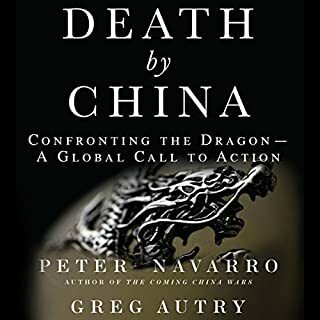 Best-selling author Peter Navarro ( The Coming China Wars) and Greg Autry challenge the dominant paradigm of a "Chinese Miracle" - the one featuring a modernizing, progressive Chinese state heading toward political reform and driving global economic growth with its new found embrace of capitalism and freedom. Will there be war with China? 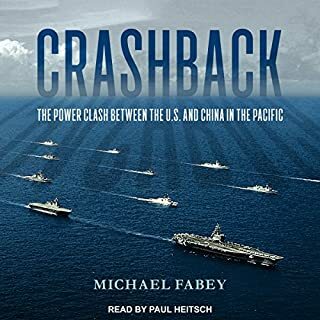 This book provides the most complete and accurate assessment of the probability of conflict between the United States and the rising Asian superpower. Equally important, it lays out an in-depth analysis of the possible pathways to peace. 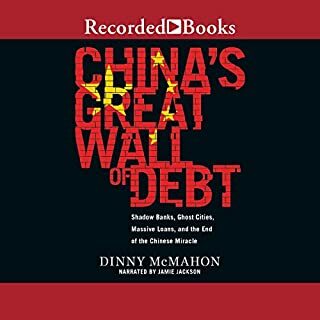 Written like a geopolitical detective story, the narrative encourages listener interaction by starting each chapter with an intriguing question that often challenges conventional wisdom. 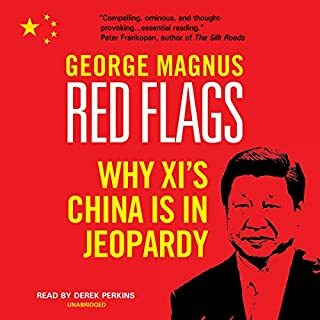 Based on interviews with more than 30 top experts, the author highlights a number of disturbing facts about China's recent military buildup and the shifting balance of power in Asia: the Chinese are deploying game-changing "carrier killer" ballistic missiles; some of America's supposed allies in Europe and Asia are selling highly lethal weapons systems to China in a perverse twist on globalization; and, on the US side, debilitating cutbacks in the military budget send a message to the world that America is not serious about its "pivot to Asia". 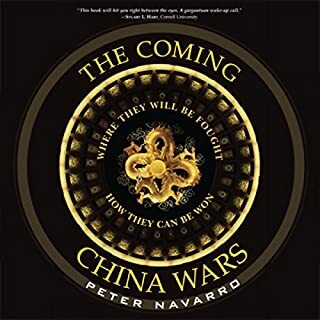 In the face of these threatening developments, the book stresses the importance of maintaining US military strength and preparedness and strengthening alliances, while warning against a complacent optimism that relies on economic engagement, negotiations, and nuclear deterrence to ensure peace. 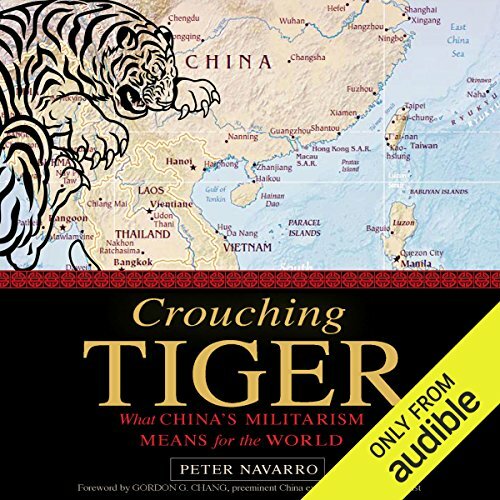 Accessible to listeners from all walks of life, this multidisciplinary work blends geopolitics, economics, history, international relations, military doctrine, and political science to provide a better understanding of one of the most vexing problems facing the world. Cover design by Jacqueline Nasso Cooke. ©2015 Prometheus Books (P)2016 Audible, Inc. If you could sum up Crouching Tiger in three words, what would they be? Have you listened to any of Stephen McLaughlin’s other performances before? How does this one compare? No, I have not, this was great ! This is the first book on policy that I didn't have to make myself read / listen to. As I said it's Fascinating, informative, surprising. And it also goes over some very important US and world history. Would you listen to Crouching Tiger again? Why? Yes, to better understand the threat from China and how to combat it. 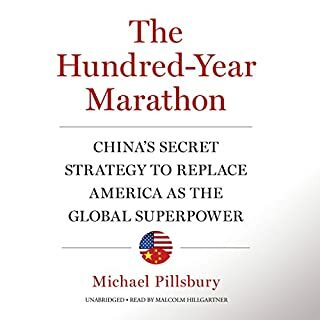 It followed on the themes I learned about in "The 100 years Marathon", and gave me several facts about what the government of China is planning and how we need to prepare for it. What about Stephen McLaughlin’s performance did you like? Please read for all our sakes! What a realistic commentary. Thank you very much for writing it! Found the book very interesting and insightful. The book covered the claims of the countries and military capabilites. I am better informed about this contentious region of the world but disagree with the author's leaning towards a large scale conflict ..